What's Bill Gate's biggest regret in life? Not learning any foreign languages. 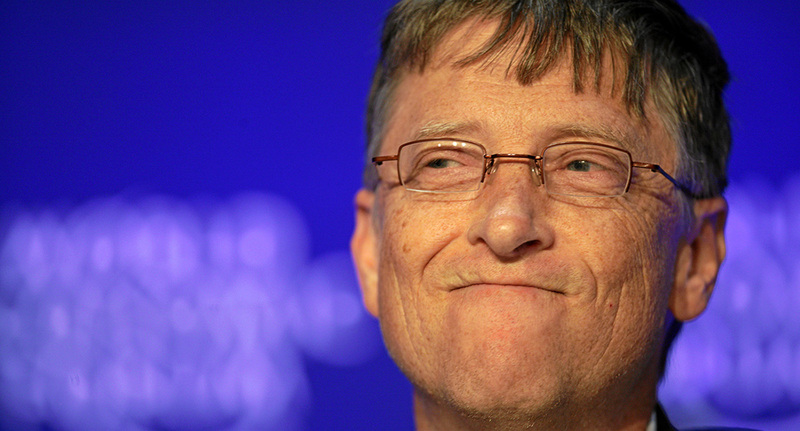 What’s Bill Gates’ biggest regret in life? Not learning any foreign languages. Last week Bill Gates did his 3rd Ask-Me-Anything (AMA) on Reddit. Just like his previous ones, he managed to entertain and educate everyone involved. Many redditors asked questions regarding his humanitarian work and his recent “poop water” skit on Jimmy Fallon’s “Tonight Show”. The most up-voted question of all, was if the world’s richest man had any regrets in life. His response was “I feel pretty stupid that I don’t know any foreign languages”. Even though he studied Latin and Greek when he was young he wishes that he “knew French or Arabic or Chinese”. Gates did not miss the opportunity to credit Mark Zuckerberg for learning Mandarin and his recent interview in Beijing. The world is becoming more and more connected every day and people from different cultural backgrounds are communicating together. Learning a language is definitely something that enriches one’s life.